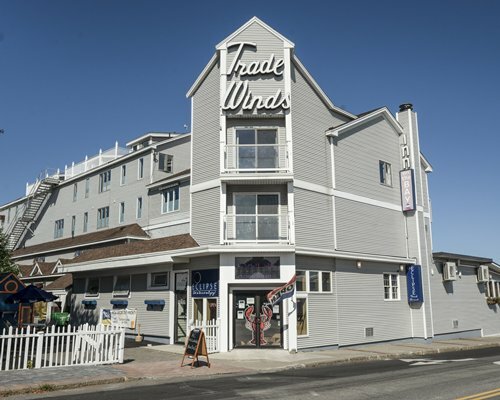 Trade Winds on the Bay is poised at the edge of Penobscot Bay, within easy reach of the town's charming restaurants, shops and art galleries. The property features a heated indoor swimming pool and well-equipped health club with sauna and whirlpool. Dishes in the hotel's on-site restaurant feature local favorites, including steamed lobster and Maine blueberries. The property is a perfect home base for discovering Midcoast Maine's rich maritime history. Spacious, well-equipped units range from studios to two-bedroom suites, accommodating up to eight guests. Quick in-room snacks are easy to prepare as all units have microwave ovens. After a busy day sightseeing, guests can relax on their balcony, soak in a whirlpool tub or sit by the fire in some units. Some units have full kitchens with granite countertops, coffee makers and dishwashers. 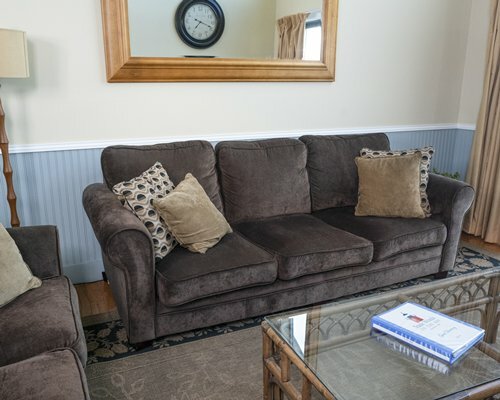 Nicely furnished living spaces have flat-screen televisions. All are air conditioned and have telephones. Known as the 'Lobster Capital of the World', Rockland, Maine has a small town charm and sensibility. Those who visit in late summer gather for the celebrated Maine Lobster Festival, which takes place in late July or early August and brings thousands of lobster lovers to honor the town's top export. Tours of the Maine Lighthouse Museum and Farnsworth Art Museum are other favorite cultural diversions. Rockland is also a departure point for the Maine State Ferry Service to the nearby islands of Penobscot Bay, including Vinalhaven, North Haven and Matinicus. From points south, follow I-95 North to the Maine Turnpike. Follow Maine Turnpike north until reaching 295-North. Follow 295-North to Bath/Brunswick taking exit 28 for Coastal Route US-1. Follow US-1 North until you reach Rockland where US-1 will meet Main Street at Park Drive. The Trade Winds Motor Inn is located on the corner. From points north, follow Route 17 East towards Rockland. In Rockland, turn right onto Route 1 South. Follow short ditance and make right onto Route 1-North. Follow until you see the Trade Winds located in front of you. "Housekeeping fee for all RCI points reservations: There may be a fee of 25.00 U.S. dollars for Hotel, weekly. Cash or Credit is accepted." "Housekeeping fee for all RCI points reservations: There may be a fee of 35.00 U.S. dollars for Studio, weekly. Cash or Credit is accepted." "Housekeeping fee for all RCI points reservations: There may be a fee of 35.00 U.S. dollars for 1 Bedroom units, weekly. Cash or Credit is accepted." "Housekeeping fee for all RCI points reservations: There may be a fee of 60.00 U.S. dollars for 2 Bedroom units, weekly. Cash or Credit is accepted." "Hot tub/Pool will be closed from April 1, 2019 to April 30, 2019." Pool, hot tub and sauna closed for repair work.